Mobile ought to be intuitive, fast, and reliable, so you’re not blindly forced to your desktop. 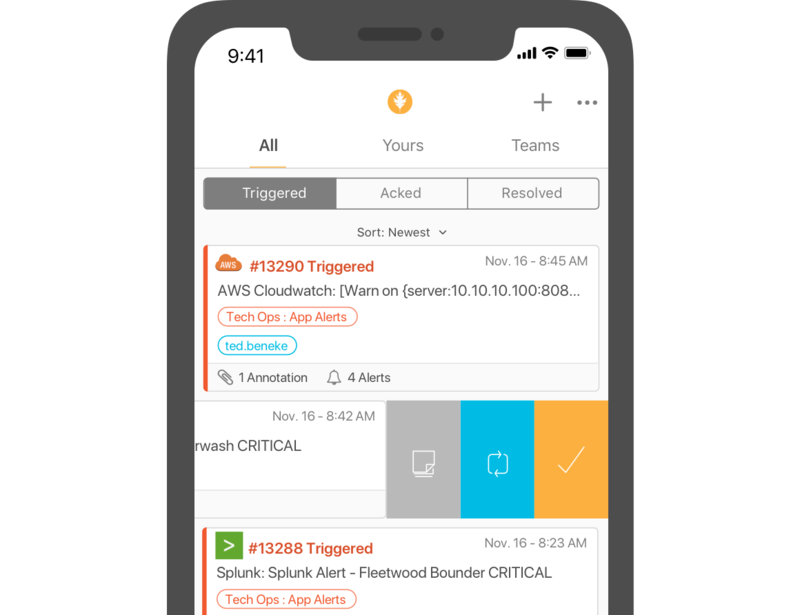 With native iOS and Android apps, we offer streamlined and modernized incident management on your own device. 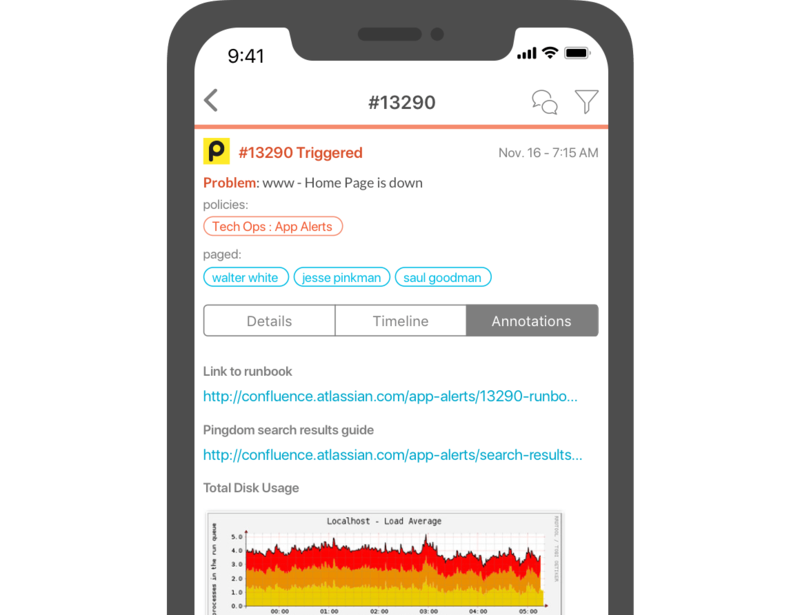 You’ll discover a holistic picture of incident context, including on-the-go visibility and internal communication tools, to quickly solve problems. Firefight on the fly. Have the app up and running, showing you the information that matters in seconds. With incredible load speed, mobile incident management won’t slow you down. 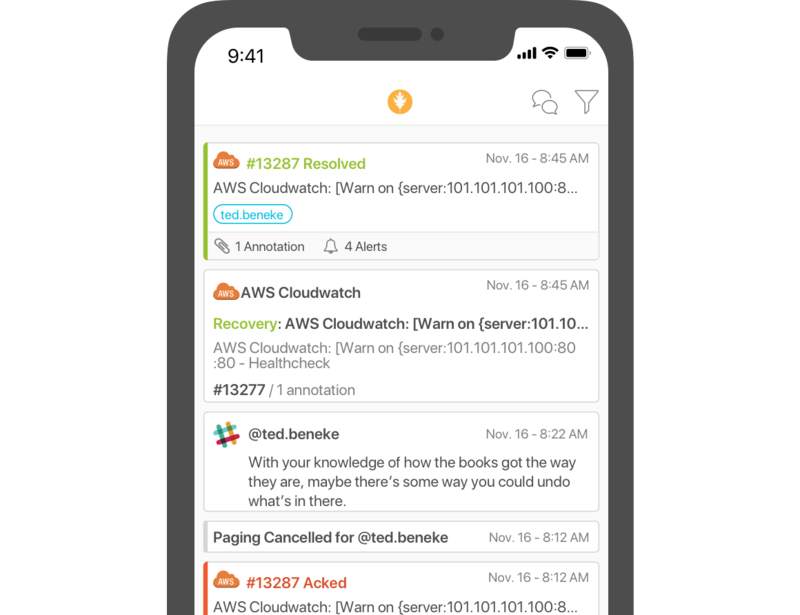 The VictorOps mobile app launches and displays relevant incident metadata—including Runbooks, graphs, deep links, and more—so you can get started on vital remediation work right away. Gain visibility into your environment via a continuous log of all alerts, actions, and conversations. 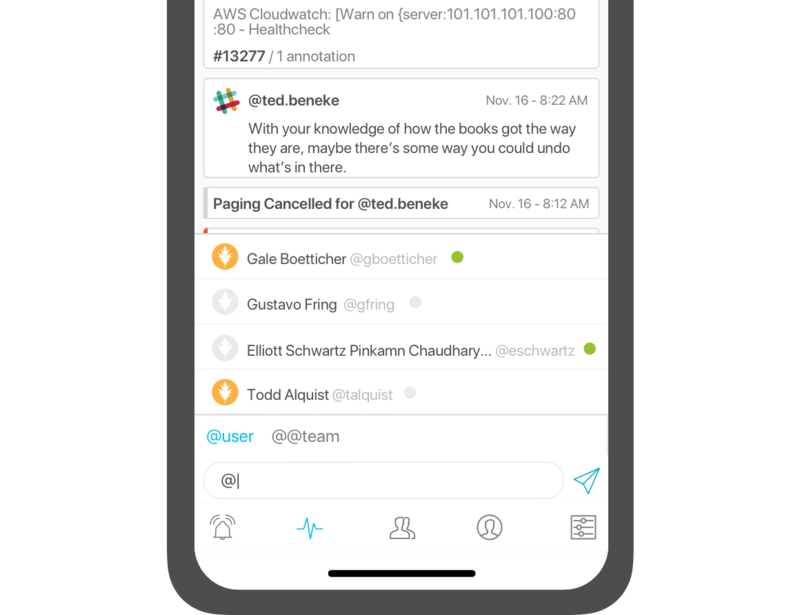 With data from both integrated systems and chat tools, collaboration and observability are available all within your personal device. With our mobile app, each team member has the power to contribute to resolution regardless of access to their computer. Native chat allows teams to collaborate on an issue no matter where they are without having to jump in between apps.